"There’s pirates in the West Indies. Cannibals. They cook you alive," says Mr. Spencer to his son. These words will come to haunt 17-year-old John as he embarks on his first voyage to foreign lands. Carrying cargo destined for Jamaica, John and his crew of the Dragon set off for waters few of them have sailed before. So when they come upon a lifeboat adrift at sea, some are wary of the sailor aboard. Something about his story doesn’t quite make sense. Still, John respects the stranger’s awe-inspiring seamanship. With Horn on deck, he feels the Dragon is in the best of hands. But is Horn to be trusted? The answer becomes muddled as the Dragon encounters a very real — and very dangerous — pirate ship. Now John starts to believe his father’s warnings, especially after he becomes stranded on an island reputed to have buried treasure. 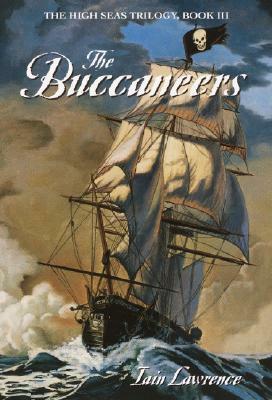 A place teeming with buccaneers!